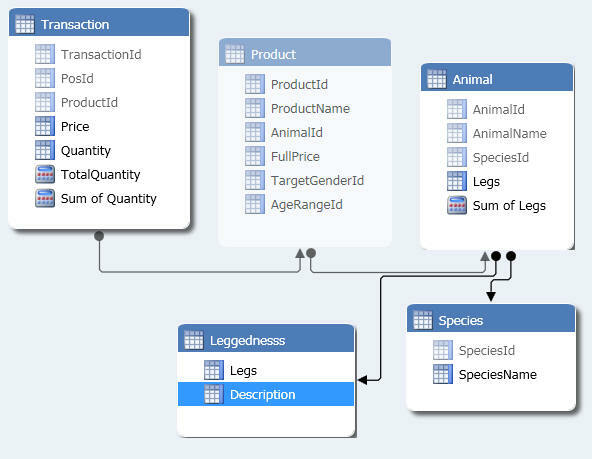 So you've created a beautiful data model in PowerPivot. How could you import this into the cumbersome beast that is Analysis Services? And why would you want to do this anyway? Sharing The Excel workbook that you've created contains all of your tables, so the only practical way to share your model is to email the workbook to someone. Security It isn't possible in PowerPivot to control who sees which bits of your model (either by setting security roles or by creating perspectives). The obvious path is therefore to prototype your data model in PowerPivot, get business users to agree that it looks good, and then upload it into SSAS Tabular for all to share. Choose to create a new project in Analysis Services. 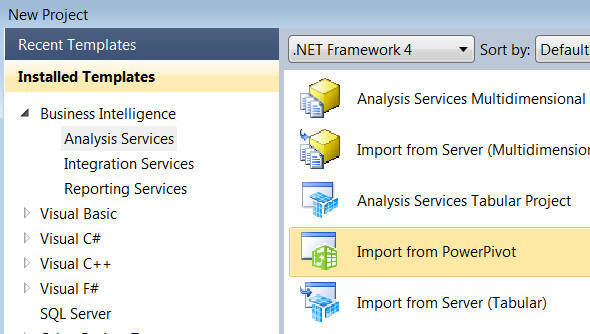 Choose to import your model from PowerPivot. Choose the Excel workbook containing your data model. 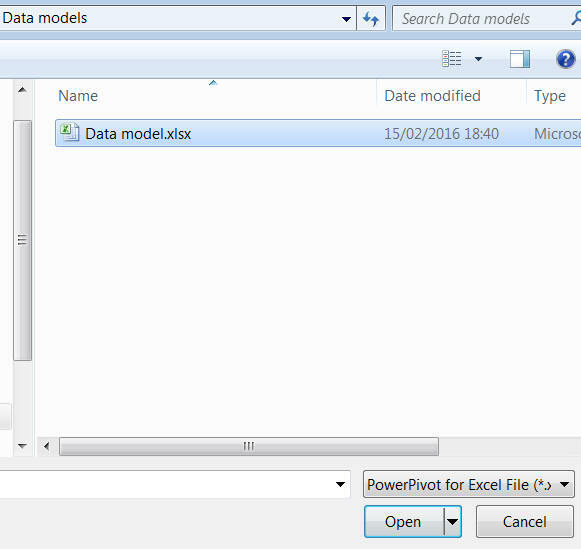 The PowerPivot data model created earlier in this blog. The linked Excel table has been turned into a fixed table. You can now test this model, then deploy it to your production server to allow other people to use it!